Some art adventures are once-in-a-lifetime opportunities. I mean, who doesn’t want to see an authentic Michelangelo? While we can’t move the Louvre to Virginia, we can certainly bring a little bit of Louvre-level, iconic art here. 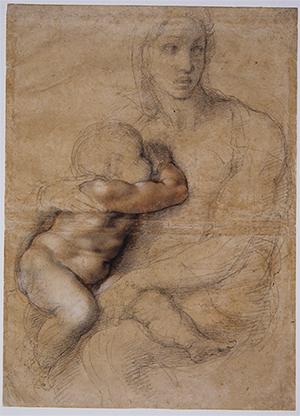 Between now and April 14, Michelangelo: Sacred and Profane is on display at the Muscarelle Museum of Art at the College of William & Mary in Williamsburg. It’s a rich and varied collection of 26 drawings straight from his family home in Florence, Italy, Casa Buonarroti. Several pieces of this collection are on display for the very first time in the United States; be one of the first to see the master’s work for just $15 per person.